The Regional Plan Association, a not-for-profit civic organization, released a report on Tuesday with five recommendations for reducing traffic on the BQE to turn the current six-lane interstate into a smaller, four-lane highway. 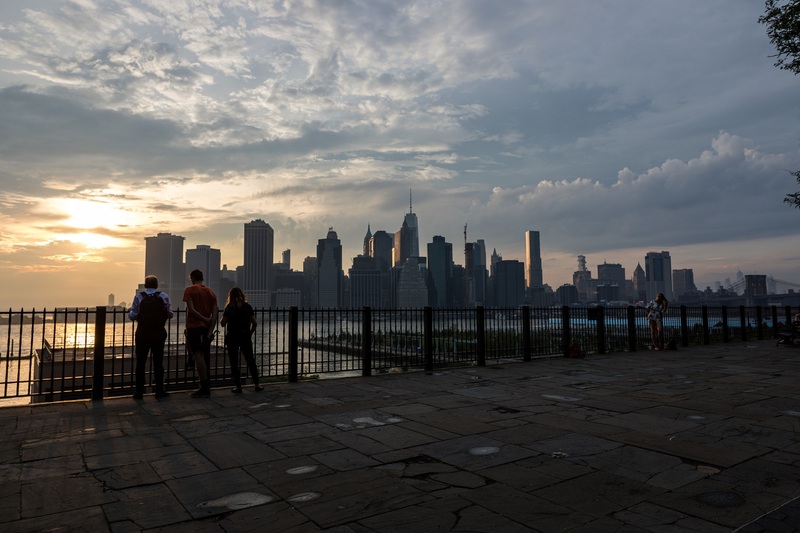 The city has proposed building a temporary six-lane bypass at the current site of the landmarked Brooklyn Heights Promenade during a $4 billion reconstruction of the BQE, bringing the noise and pollution of 153,000 vehicles a day up to street level for six to eight years. The proposal has galvanized community advocates to find a better solution. “New York should join the growing list of cities that are updating, scaling back, and in some instances, removing their highways,” Tom Wright, president and CEO of Regional Plan Association, said in a statement. The city Department of Transportation says it is now considering a number of alternate BQE proposals recommended by residents and officials. Brooklyn Heights-based nonprofit A Better Way NYC hired RPA for its analysis on the plans for rebuilding the 1.5-mile “Triple Cantilever” stretch of the BQE between Sands Street and Atlantic Avenue. The reconstruction of the highway is the perfect time to rethink the role of vehicles in the city, he said. The city shouldn’t just recycle an outdated design, but “restore the BQE with an eye towards maximizing open space and limiting pollution exposure to the surrounding communities,” Hilary Jager, spokeswoman for A Better Way, added. Among the policies RPA recommended are congestion pricing (which has recently been approved in the state budget), two-way tolling on the Verrazzano-Narrows Bridge, HOV 3+ on the free bridges, HOV 3+ on the full length of the BQE and lane reduction. The report says there were other instances when NYC removed highway lanes without worsening congestion. For example, when the Williamsburg Bridge closed for repairs in 1988, the average daily traffic of approximately 107,000 vehicles was “absorbed into the system,” and traffic over the Manhattan Bridge during the same period also decreased. Brooklynites will have the opportunity to share their thoughts about the BQE rehabilitation plans at a town hall on April 3. The Brooklyn Heights Association and A Better Way NYC, which both oppose DOT plan, will host a meeting at 7 p.m. at Plymouth Church, located at 57 Orange St. Among those slated to address the community include City Comptroller Scott Stringer, City Council Speaker Corey Johnson, Brooklyn Borough President Eric Adams and City Councilmember Stephen Levin — all of whom denounce the city’s current BQE reconstruction plan. On the docket: updates on the project, discussions of alternative plans, guest speakers, a presentation of action steps and a question-and-answer session.